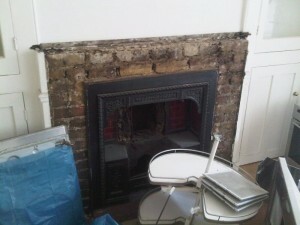 This installation of a fabulous Westfire Uniq 17 wood burning stove took place in a property in SW18. 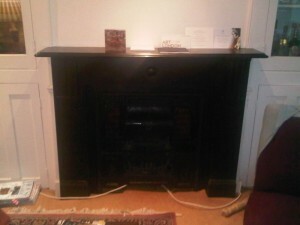 The Billington Partnership previously installed a beautiful Buckingham fireplace for this same client in the bedroom. 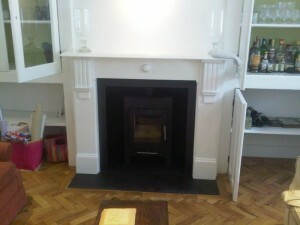 We were thrilled to be asked back to install a new stove in their recently extended kitchen. It was our task to remove the existing black slate mantel in the kitchen and reinstall it with a new Westfire Uniq 17 wood burning stove. The Westfire Uniq 17 is a perfect example of attention to detail and build quality. 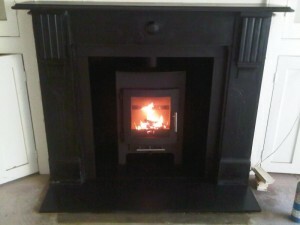 It is a beautiful yet functional wood burning stove with a convection body and insulated burn chamber. Its compact size make it ideal for smaller rooms, and the contemporary Danish styling adds a handsome feature to any interior. 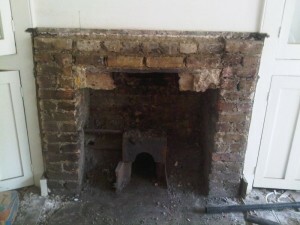 Finally, take a look at another Westfire stove installation by The Billington Partnership.